Part of our knowledge of the Indian nations of the Carolinas during the early colonial period comes from the reports of European explorers. One of these was the British naturalist, John Lawson, who led a small exploratory expedition out of Charleston late in 1700. Travelling by canoe and on foot, he travelled about nine hundred kilometres (six hundred miles) through what the Europeans considered to be a wilderness, making a good many observations about the vegetation and wildlife, and about the Indian nations which inhabited this mixed terrain. John Lawson began by journeying up the Santee-Wateree-Catawbee River. He noted that the Sewee were once a populous nation, but that European diseases such as smallpox had greatly reduced their numbers. 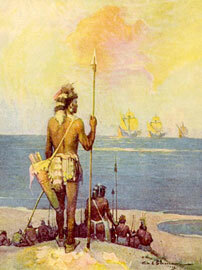 Among the Santee,  Lawson found a powerful Indian ruler. He reported that this chief had absolute power and could sentence any of his people to death. When the chief died, his body was placed on top of a pyramidal mound (possibly a method of disposal gained from the civilisations of Mesoamerica). Recent thinking demonstrates this probable link between Mesoamerica and eastern and south-eastern North America. Large settlements containing pyramidal mounds have been found in these regions and are being reinterpreted based on an increased understanding of them. Cahokia especially - the largest known centre of the Mississippian 'mound-building' culture - seems to have had close trade and communications links with Mesoamerica. Lawson next encountered the Congaree and again saw that their numbers had been greatly reduced by smallpox. He noted that the main town consisted of less than a dozen houses. The Wateree-Chickanee were the next group that Lawson visited (about ninety kilometres (sixty miles) from the Congaree). He noted that they spoke a language (probably Catawban) which was different from that of the Congaree. They were a numerous people but they lacked English trade goods. They were using bows and arrows rather than guns for hunting. The ancestors of the Wateree-Chickanee were probably the Guatari of the Rowan area (subservient to the Spanish some twenty years before the founding of the nearby Roanoke colony). About three miles from the Wateree-Chickanee, Lawson encountered the Waxaw. Among the Waxaw, Lawson noted that there was a 'state-house' which was distinct from domestic structures and was intended for use by the chiefs. The party then visited the Esaw (a Catawba people) and the Sapona (Saponi). Lawson's observations of the Indians at this time show that they were already undergoing many changes due to their contact with the European colonists. Some of these changes were due to epidemics such as smallpox, which were brought in by the colonists; some of the changes were brought about by manufactured goods, such as the guns and knives that they gained from the European traders. The tribes which Lawson observed would later become known as the Catawba Nation or the Catawba Confederacy. Not to be confused with the Santee Sioux of Minnesota, under Little Crow. The Catawba Nation (or confederacy) was composed of several tribes, all of which are listed in full on the main Catawba page (see sidebar links, right). In 1709 Lawson returned to England where he published an account of his adventure, A New Voyage to Carolina. The book proved to be successful and attracted more colonists to the region. Lawson returned to the Americas in 1710 to help establish the colony of New Bern for German refugees. 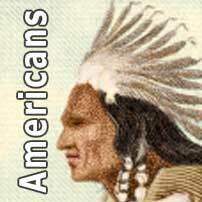 In 1711, he was captured by the Tuscarora Indians, tortured, and killed. 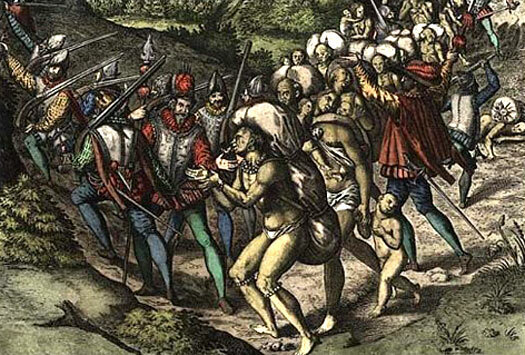 Following this incident, the conflict known as the Tuscarora War broke out between the colonists and the Indians. Text adapted by Mick Baker from original posts on the discussion forum, Native American Netroots, primarily by user 'Ojibwa', primarily on 1 December 2013. An original feature for the History Files.